The second single from the veteran UK band’s tenth studio record can be heard in a recording of a May 1986 concert at the Kemper Arena in Kansas City, MO that is featured in the updated set, which also includes a remastered version of the original album. “The 80’s is considered to have been the best decade for heavy metal,” says the band. 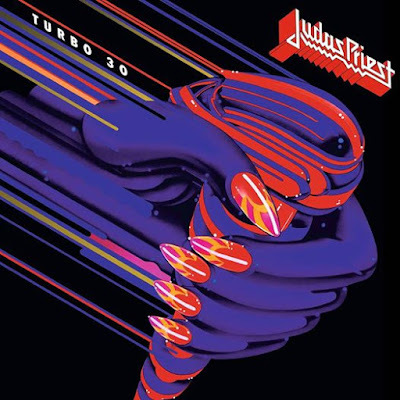 “Judas Priest roared through it and at the half way point went into unchartered territory with ‘Turbo’. Always believing that metal should have no boundaries, Priest challenged themselves taking on board new technical inventions to create fresh ideas and push their sound forward. The combined songs show another side of Priest’s range of creativity that captures a theme and energy infused with the over the top sensibilities of that era. Judas Priest will begin recording the follow-up to 2014’s “Redeemer Of Souls” this month with plans to release a new album this year before returning to the road in 2018.